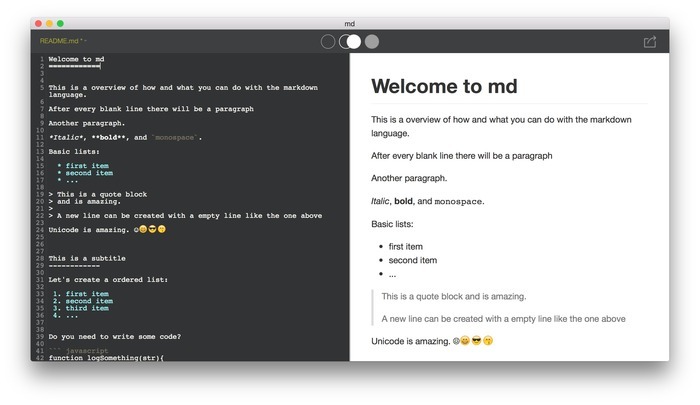 Create and preview Markdown documents. 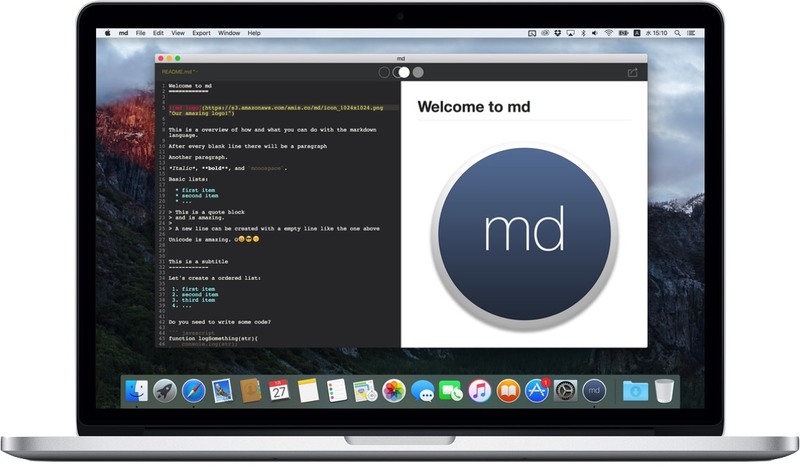 With the Markdown syntax you can in a easy way format your text with bold, italic, create lists, insert images from around the internet, create headings, sub-headings and a lot more! Markdown is very easy to learn! It will just take some minutes!With the focus mode, you can focus on writing your document or previewing the results.You can can EXPORT your work with plain HTML or a beautiful styled HTML.